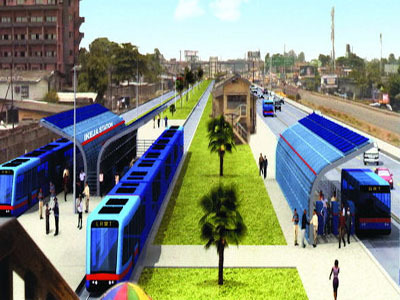 Mr Adekunle Oyinloye, Managing Director, The Infrastructure Bank Plc, has said that the proposed Lagos Metro Rail Transit (LMRT) project will cost N456 billion (2.4 billion dollars). Oyinloye said in an interview with the News Agency of Nigeria (NAN) in Abuja on Wednesday that the project was expected to cost so much because it involved fixed infrastructure – tracks, stations and rolling stocks. “We still have some paper work to do with Lagos State for concession. Immediately the concession is done and we have a bankable document and get to finance close then the project will start. “We are hoping and believing that within the next six to eight months we will be able to get to finance close and we will start,’’ he said. Oyinloye said the bank was a member of the consortium which created the Marina Express Train Services and partnering to construct the rail line known as “Red Line’’ project. “Infrastructure bank is also the transaction advisor and finance arranger for the project. It bided for the Red Line project which started since 2008. “When we got the preferred bidder status, the right of way was not available so we had to work with Lagos Metropolitan Area Transport Authority (LAMATA) and Lagos State Ministry of Transport. “We also had to work behind the scene with the Ministry of Transport to ensure that the right of way was granted,’’ Oyinloye said. The News Agency of Nigeria (NAN) reports that the right of way for the proposed Iddo-Agbado corridor for Lagos Metro Rail Transit, known as “Red Line’’, was handed over to Lagos State in Abuja on Friday. Oyinloye expressed gratitude to President Good Luck Jonathan for granting the right of way for which the construction could start. “There will be changes in the landscape of Lagos. There are about 1.8 million passengers daily who currently spend about four hours daily to get to work and another four hours to get back. “After the completion of the project, the passengers will now need 30 minutes or maximum of 45 minutes to get to their destinations in a cosy train services. 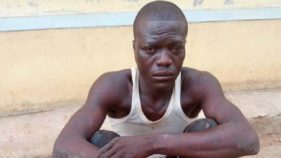 “If you are living in Agbedo or Agege and you work in CMS area or Victoria Island or you do business in Oke-Arin and Balogun Market you do not need more than 45 minutes to get to your destination,’’ he said. Oyinloye said the proposed project was delayed due to transfer of asset from the federal to state government which required a lot of engagement and involved several ministries and departments. The Commissioner of Transportation, Lagos State, Mr Kayode Opeifa, said the project would create direct and indirect jobs during and after the construction. “It will reduce the cost of transportation and save money for citizens; it will improve our mass transit system by moving more people within a shorter period by decongesting the road and managing the traffic accurately. “There will be low greener gas emission from the cars and people will be able to move their goods to the market with cheaper rate and more efficient way. “We are going to link the state and improve tourism. The blue line runs east west from Okukumaiko to Marina while the Red Line runs west to south from Ogun State end to Lagos,’’ he said. Mr Dayo Moberuola, Managing Director, LAMATA said the project was initiated by the organisation. Moberuola said LAMATA identified the need for rail mass transit in Lagos because the state was a mega city and required a backbone for transportation. “We estimated that 20 million people are moving on daily basis presently in Lagos and in 2030 it is going to be 32 million people that will be moving on daily basis. “And we can’t do all of that by road rather it has to be done by rail mass transit that is why rail is very important. “We need to connect to neighbouring city of Ogun State where about 20 to 30 per cent of people who are actually working in Lagos live. “So by building this rail line it will enable these set of people to be coming into Lagos to work and go back in the evening thereby creating more productivity,’’ he said. we have the capacity to build this train in record time. what always affect every project in nigeria is implementation and enforcement of the rule. this is a very necessary infrastructure for lagos, and job creator hundreds of people.